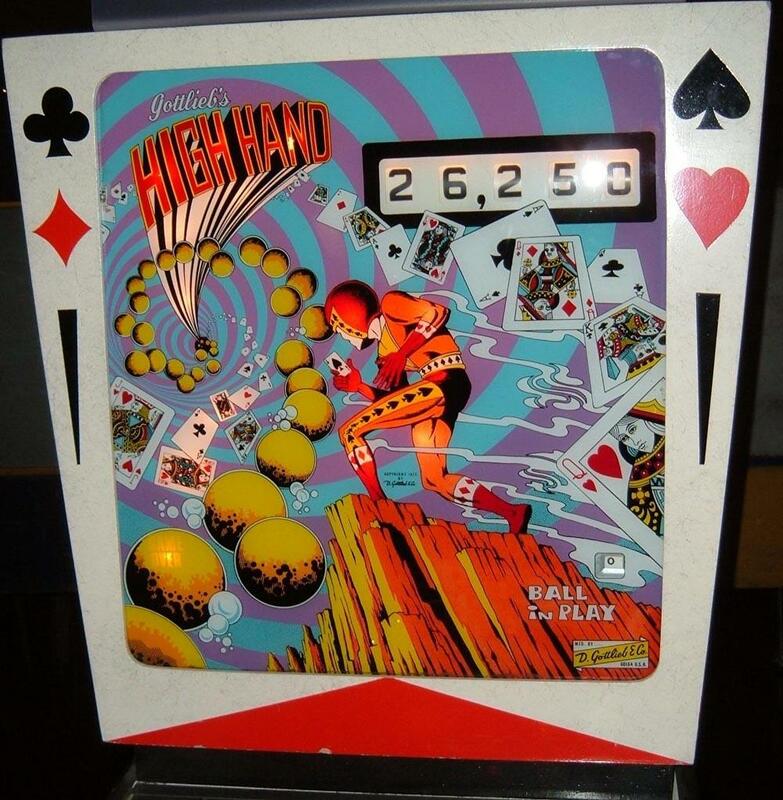 Description: Gottlieb High Hand pinball. 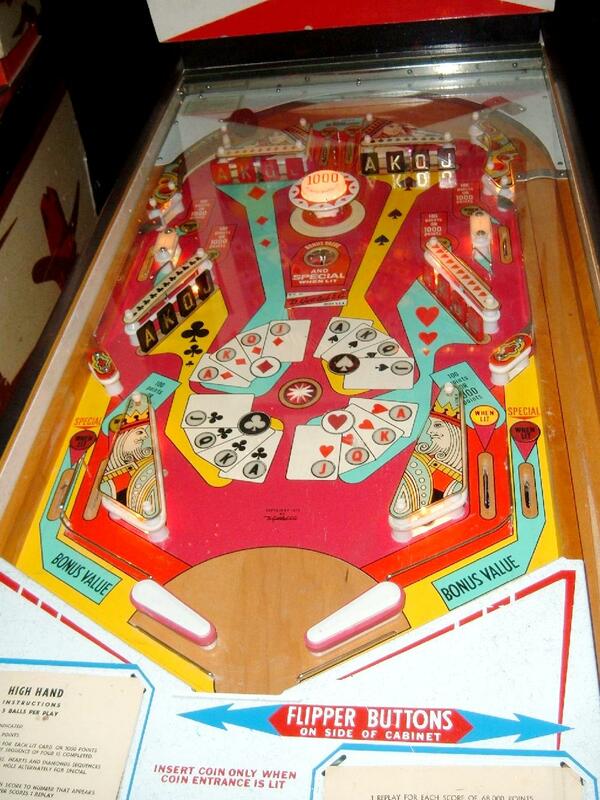 Same game as Gottlieb Capt Card pinball. Lots of drop targets and a center kick out hole, two 3" flippers. Single player wedgehead cabinet design. Four banks of 4 drop target (one bank for each card suit). Card theme pinballs were very popular and easy to understand the game play, and this is no exception. 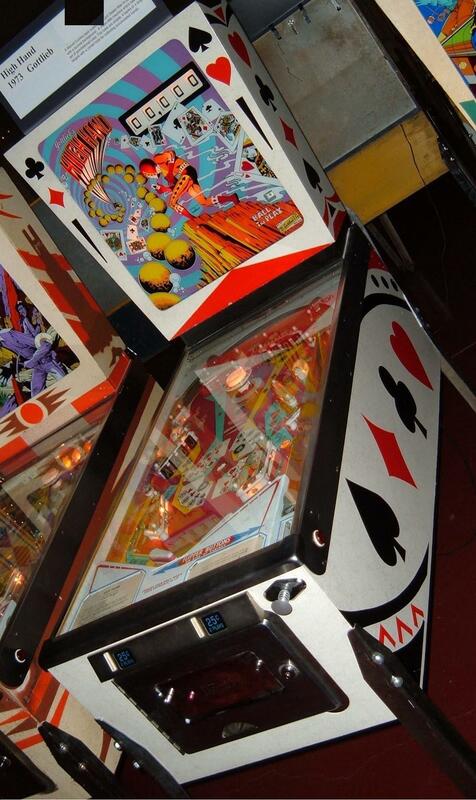 They made 4950 Gottlieb High Hand pinballs in the replay version, and 675 Gottlieb Captain Card add-a-ball pinballs. They also made an Italian version of this game called Gottlieb Top Hand (2889 made).